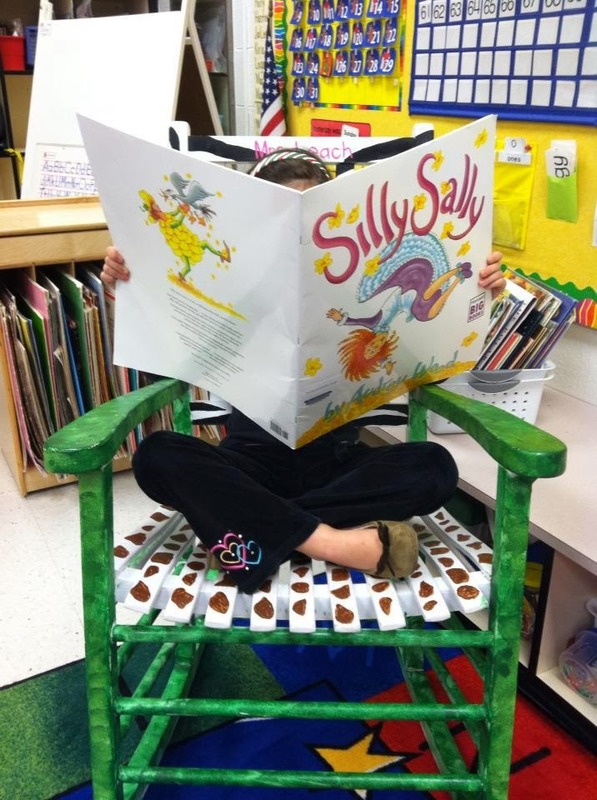 Now is the perfect time to give your classroom library a facelift. The books you took great care to shelve by genre or place in labeled bins in August have likely found new homes in nooks and crannies around the room or are simply MIA at this point in the school year. The meeting space rug is soiled, the book doctor basket is full, the beanbag has more duct tape than beans, and the plant that once gave the space that special touch has failed to survive the drought. Sound familiar? No worries! Now is the time for starting fresh, tidying things up, and recharging. 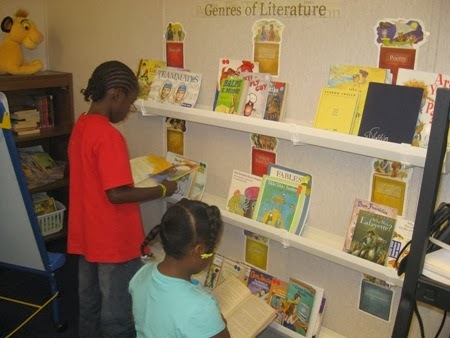 Sprucing up the classroom library will no doubt require you to roll up your sleeves and possibly, moan and sweat a bit, but what could be any better motivation than knowing your efforts will have a direct impact on promoting engaged, proficient, joyful readers? The research is clear....reading more is directly linked to reading (and writing) better. So, what are you waiting for? Let’s get started! While there is no single "best way" to set up a classroom library, there are four tips I have found helpful in setting up a classroom library that I am eager to share with you. Organization is key! When you think about how to organize the plethora of titles you have generated over the years, think about the importance of grouping texts together that have something in common and think about labels that let everybody know exactly what texts they should expect to find in that section. You may prefer to sort by genre, author’s last name, topic, theme, or any number of ways. Maybe now is the time to shake things up a bit – why not try a new organizing scheme and get the students involved in the process? The most important consideration is to look at the titles you have and determine what makes sense to you and your learners. Labels are critical! Having labels on the texts and corresponding labels on the shelves, bins, baskets, or other storage devices enable readers to be independent in both the retrieval and replacement process. Here is a great website for FREE labels – print, laminate and fasten! Think about the successful book stores. Books and magazines are everywhere! For me (a self-professed bibliophile), the aesthetic allure of being able to reach out and touch oodles of my paper friends at every turn is irresistible! This is what we want for our readers – the inability to leave book shelves, bins, and baskets without one or two titles in their hands. Most classrooms boast a cozy corner, which is fantastic, but what about branching out and making texts available all around the room? Just think about the possibilities. Could nonfiction titles be located in one part of the room and fiction in another? 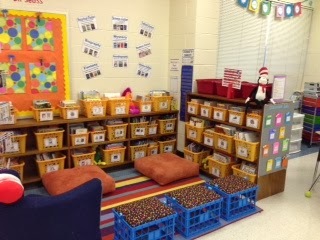 What about a special space for poetry, Big Books, multiple copies of titles for buddy reading, magazines, newspapers, graphic novels, wordless titles, and student created works? Get creative – look at the texts you have and the layout of your room through new eyes! When you walk into a public library or book store, think about which books catch your eye. The ones on the end cap, featured on a table top, or on the shelves with the covers facing you, right? Try mimicking that in your classroom and watch the titles fly off your shelves!! Try a new display with books by a featured “Author of the Month” or permit students to make recommendations to peers and feature those in a special spot in the room. Try having a section called “Teacher Picks” – you will not believe how desirable these books are to your students!! 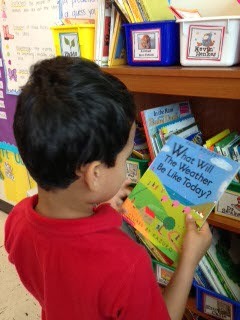 Do you have a special event or fieldtrip coming up you can frontload with independent reading material? What about supplementing required content area reading with many and varied texts across genres and levels of challenge? I guarantee that if you rotate titles often enough and make them visually appealing, they will find their way into the hands of engaged, happy readers! Don’t have enough bookshelf space? How about gutters? That’s right…..rain gutters! The image below shows how rain gutters can make an easy way to display books. Take stock of the genres presently in your collection and see where there are holes – fill those in with new acquisitions before you add to existing genres. Teachers, me included, can be guilty of purchasing titles in genres they enjoy. If science fiction is not your cup of tea and you have no offerings for that 4th grade reader who talks nonstop about time travel and space adventures into galaxies far, far away, you could very well miss out on that one opportunity to propel him to new reading heights. It is critical we stay on top of what is “hot” and learn about new authors so that we can make appropriate recommendations to our students. There is nothing more motivating for a reader than for his teacher to say, “I was thinking about you when I read this and I bet you would really enjoy it. Have a go and then let’s talk about it together.” Wow!! Know what titles you own! This is one thing I wish someone had told me about sooner! In my first few years of teaching I gobbled up books as fast as I could and donned with my personalized ink stamp, I made sure to place my name on the inside cover of every one of them. The trouble was, I had no idea which books I owned, how many, or what genres – I was happy just to see my shelves, buckets, and bins expanding. Big mistake! I realized the error of my ways and rectified the situation. It was a slow process, but it was totally worth it. Whether you are just starting your teaching career or you have been teaching for decades, it is not too late. There are many ways to catalog, but I am happy to share LibraryThing, a terrific tool I really like. When you have plentiful offerings across all genres, topics, and degrees of challenge (and a way to see at a glance the current text inventory), you can be certain there is something irresistible for every reader on your shelves! Do you have a checkout system and if so, is it for classroom purposes only or do you permit students to take books home to read? Whether or not you incorporate a check out system, I would encourage you to have a formalized “shopping day” system in place. This will ensure that all readers have a time every week or two to browse and choose titles that are “just right” for them to read independently. I hope you decide to make 2014 the year to overhaul your classroom library. One thing I know for sure, it will be time and energy well spent. The payoff is enormous – a classroom full of students with large reading appetites, engrossed in texts they simply cannot put down….it does not get any better than that! Dr. Debbie Linville is the Department Chair of the Elementary & Middle Grades Education at High Point University. She has been involved with NCAEE since 2005 and is currently the Director of Region 5 and Chair of the NCAEE Regional Advisory Councils. Dr. Linville has been teaching for over 30 years and her passion is enabling educators to promote the proficient, joyful reading and writing lives of children.